When you are searching for a job, aside from checking the ads in newspapers, internet and bulletin boards, it is also very helpful to ask for information from the people on your warm contact list. They can provide you with up-to-date information on the company and position vacancies that are not posted on job ads. 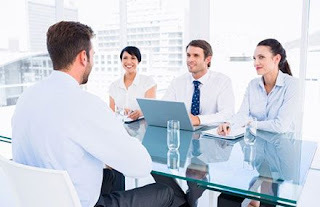 At times when they cannot provide you information about the job that you are looking for, they may be able to refer you to a person that they know who might be able to tell you something about the job. This is called networking. Networking is when you start using your warm list to get information or referrals to their other contacts. Many people are repelled by the thought of networking. Some believe that it is not a reliable source of information about the job. Others say networking is more difficult than following the leads on the ads that are posted in the newspaper, internet or ad boards. Contrary to such beliefs, networking is not that difficult to do. You may just have to contact or meet some people, and you can get valuable information that can help in your career search. Also, since the people you meet belong to the same industry, they can provide you information about hiring that isn't advertised and first-hand facts about the company. You are already networking and you just don’t know it. When you have seen an ad in the paper posted by a company you know little of, you ask your friends if they know somebody who works for the company. So even if you are not attracted by the idea of networking, it is still essential when seeking a job. To make networking easier and more productive for you, here are a few tips. When you have prepared your warm contact list, it will be easier to select the people who you prefer to call first. These are the people who you think have some information about the job. They may be former employers, colleagues and members of the professional organization belonging to the same industry. They usually have first-hand, up-to-date and reliable information. When you call a warm contact, inform them that you are actively seeking a job. Ask them to let you know if they heard of job openings you might be interested in. It is better to inform them what type of job you are looking for. And don't forget to leave your contact number with them, so they can get in touch with you if they hear of anything. It is also better if you can leave a copy of your resume with them so they can show or submit it to someone who will be able to help you in your job search. You warm contact may ask about your skills, experiences, abilities, interests, expectations and career goals. You should be able to talk about these sincerely and you should be able to describe what information you would like to have from your contact. To help you prepare, you can practice by drafting a script on what to say. That way, you can articulate what you would like to communicate to your warm contact. Anticipate questions about yourself, so you should also practice answering questions about your previous job and what you can contribute to the company. If your warm contact was not able to provide you information that will be helpful to your job search, ask for the names of at least two people who they think will be able to help you. Ask for their contact number, and if possible, the time which they will be free to talk over the phone. When your warm contact gives you referrals, they may even call this person to inform them that you will be asking for more information. Sometimes, the person you were referred to will be calling your warm contact. Therefore, it is better to call your referrals within a few days after you have spoken with your warm contact. When you make a call, introduce yourself and inform the person who referred you to him/her and how you are related with the person who referred you. Be polite, but straightforward, in informing the person what information you are seeking. Networking really isn’t a difficult thing to do. With enough practice and experience, you can maximize the benefits that you can get from networking. Majority of the top companies search for employers who stands out based from their expertise, ability to give new developments, and pleasing personalities that would enhance the organization. Skills are grouped into three kinds – knowledge-based, transferable, and personal traits. 2) Transferable or portable skills are those you bring to a specific job. This is the reason why interviewers ask, “What could you offer the company?” Transferable skills are important because companies strive to look for quality employees that would improve the development of the workforce. Portable skills include problem solving, team leader potential, organized, writing and communication skills, customer service oriented, time and project management, and good with numbers and budget. 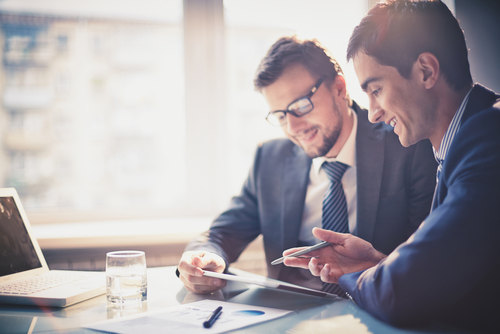 This kind of skills varies depending on the experience and versatility of each job candidate. 3) Personal traits determine who you are. In a job interview, one of the most common things an employer says is “Tell me something about yourself.” Your response is vital because it would set the tone for the rest of the interview. * Self-assessment. In order to provide an impressive presentation, examine your resume and list all the skills you have used for each past job experience. Make a comprehensive list of your skills and strengths including personal traits, knowledge-based and transferable skills. This would be the basis for your personal commercial. * Once you have completed your script, you are now ready to face the interviewer. Remember that employers are interested in your accomplishments. Use words that are concise, direct and clear. Although many companies require a unique set of skills, you should still highlight your technical skills in the interview. These skills, which top companies usually seek, include leadership, communication, confidence, flexibility, problem solving and energy. Emphasizing all of your strengths and skills on job interviews would increase your chances of landing the desired job. A tip that may help a little in the negotiation process is knowing your potential and not easily giving in or selling yourself short. 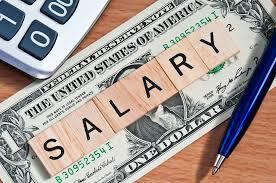 In the course of an interview, it will boil down to the how much you will be getting. Most fresh grads accept what is given immediately and reply “ok” ending it there. Finding a job is such a daunting task. Here, there, and everywhere, job seekers tend to look for the best means in order to find the best jobs. However, most of them are predisposed to neglect job fairs. This is because many job seekers get annoyed with the jam-packed, full of activity, and baffling series of events. Nevertheless, they are still the best place to land a job. According to the Bureau of Labor Statistics in the United States, the employment status is likely to boost by 15%. 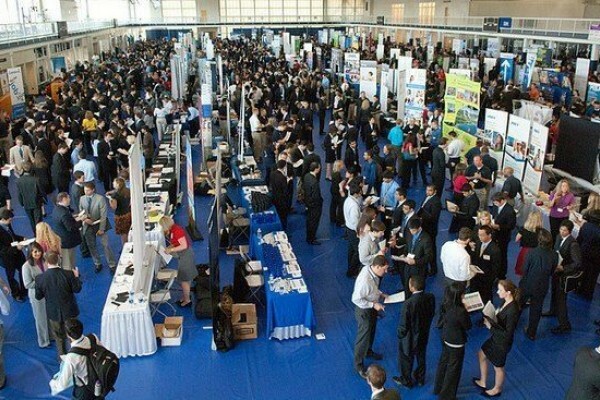 That is why job fairs are the best places to find a job because many companies will be participating in the event. Job fairs are not really that bustling. The important thing is to obtain the necessary requirements needed in job applications and the rest, as they say, is history. 1. Advance research can be very helpful. Most job seekers aim to find the best employment possible. Hence, it is important to do some advance research before going to a job fair. Usually, the organizers of this event will post the companies that will participate on the job fair. Obtaining some information about the companies and the position that is open for the job would be an edge over the others. 2. Job seekers should have enough resumes. It would be better if job seekers have enough resumes, at least 25, before going to the job fair. In this way, the applicant will be able to provide resumes to all of the potential employers in the job fair. The more applications you deliver the better chances of landing a job. 3. Job seekers should know how important it is to dress for the occasion. As they say, first impressions last. Hence, in order to cut above the rest of job seekers, an individual should learn how to impress his or her future employer by dressing for the best. It should project a professional outlook, enthusiasm, and the determination to get the job that he or she really wants. 4. 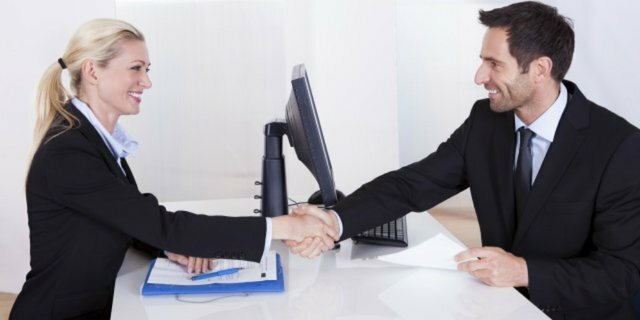 Job seekers should be prepared for some on-the-spot interviews. 5. An applicant should have a list of the companies where he or she had given his or her resume. Knowing these things can be very helpful especially if it is the applicants first time in a job fair. Hence, people should be more aware of the benefits they can derive from job fairs alone. Lowongan Kerja PT Nippon Indosari Corpindo, Tbk January 2019, PT Nippon Indosari Corpindo, Tbk ("Perseroan") berdiri pada tahun 1995. Pabrik pertama berlokasi di Blok W, Kawasan Industri Jababeka, Cikarang.Untuk memenuhi permintaan konsumen yang terus meningkat, Perseroan mengembangkan usahanya dengan mendirikan pabrik di Pasuruan pada tahun 2005. Besarnya permintaan masyarakat atas produk Sari Roti membuat Perseroan kembali membangun pabrik ketiga pada tahun 2008 yang juga berlokasi di Kawasan Industri Jababeka Cikarang. Kemudian disusul dengan pembangunan pabrik di Semarang, Medan dan Cikarang Barat pada tahun 2011. Pada tahun 2012, Perseroan membangun 2 pabrik baru yang berlokasi di Palembang dan Makassar. Perseroan secara resmi mencatatkan saham di Bursa Efek Indonesia dan menjual kepada publik pada tahun 2010. Pada tahun 2006 Perseroan mendapatkan sertifikat HACCP (Hazard Analysis Critical Control Point) yaitu sertifikat jaminan keamanan pangan sebagai bukti komitmen Perseroan dalam mengedepankan prinsip 3H (Halal, Healthy, Hygienic) pada setiap produk Sari Roti. Selain itu, seluruh produk Sari Roti telah terdaftar melalui Badan BPOM Indonesia dan memperoleh sertifikat Halal yang dikeluarkan oleh Majelis Ulama Indonesia. Sebagai produsen roti terbesar di Indonesia Perseroan telah meraih beragam penghargaan, antara lain Top Brand dan Top Brand for Kids sejak 2009 hingga sekarang, Marketing Award 2010, Original Brand 2010, Investor Award 2012, hingga penghargaan dari Forbes Asia. 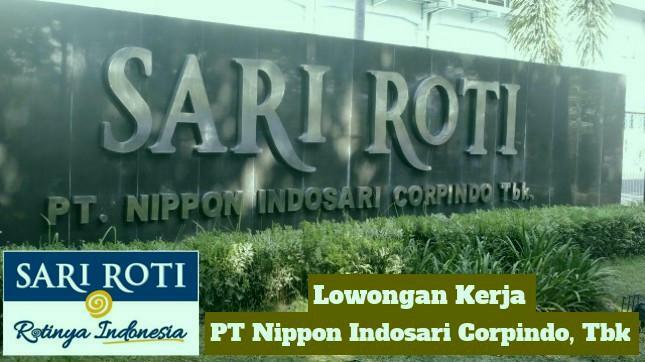 PT Nippon Indosari Corpindo Tbk. menghimbau agar kandidat mewaspadai penipuan bermodus rekrutmen karyawan. Mohon untuk diketahui bahwa PT Nippon Indosari Corpindo Tbk. tidak pernah meminta uang atau pembayaran dalam bentuk apapun dari kandidat dalam setiap tahapan rekrutmen. Waspadailah informasi dari alamat yang bukan milik PT Nippon Indosari Corpindo Tbk. Selalu periksa kebenaran dari informasi yang Anda peroleh ke pihak Rekrutmen PT Nippon Indosari Corpindo Tbk. Bertanggung jawab atas pengelolaan fixed asset perusahaan dengan memastikan semua pencatatan Fixed Asset sudah sesuai antara Aktual Fisik dan Data melalui aplikasi dan sistem yang digunakan guna mendukung penyajian laporan keuangan berdasarkan PSAK yang berlaku. Memastikan pencapaian target cutomer aktif di area yang telah ditetapkan dengan melakukan perencanaan pengolahan, pengawasan, pelaksanaan & evaluasi aktivitas sales. Memastikan terlaksananya seluruh program marketing dan trade marketing (channel dan consumer promo) melalui fungsi eksekusi, kontrol, evaluasi, dan koordinasi. Melakukan proses keuangan per bulan dan tahunan, hutang piutang, terima kas, general ledger, penggajian dan utilitas, treasury, penganggaran, tunai peramalan, pendapatan dan pengeluaran Analisis varians, tetap aset aktivitas, aktivitas utang. PT. Keihin Indonesia adalah salah satu perusahaan manufacturing asing (PMA) asal Jepang yang berada di Kawasan Industri MM2100. PT. Keihin Indonesia merupakan perusahaan yang berada dikawasan MM2100. PT. Keihin Indonesia bergerak dibidang industri manufacture kendaraan bermotor roda dua. PT. Keihin Indonesia merupakan anak perusahaan dari Keihin Corp (Keihin Group) yang berada di Jepang. 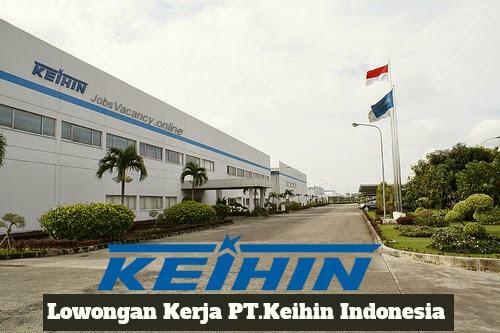 Selain di Indonesia, Keihin Corp juga memiliki anak perusahaan lainnya yang tersebar di Amerika, Eropa, China, dan Jepang sendiri. Memiliki kemampuan AutoCad, Drawing, PLC. Pendidikan Minimal S1 Hukum, Teknik Industri, atau Psikologi. Pengalaman minimal 8 tahun sebagai SPV/Asst Manager di General Affair khususnya di Manufacturing Otomotif. Memiliki komunikasi yang baik dengan pihak-pihak seperti Institusi dan Lembaga. Melakukan kontrol terhadap kinerja member GA.
Melakukan Analisa pekerjaan terkait dengan SHE, Security dan OB serta Catering. Bertanggung jawab dalam melakukan pengelolaan dan pengontrolan aset perusahaan. Bernegosiasi dengan institusi atau lembaga jika muncul indikasi masalah. Lowongan Kerja SMA SMK D3 S1 PT Prakarsa Alam Segar. PT. Prakarsa Alam Segar adalah salah satu perusahaan terkemuka yang bergabung dengan WINGS GROUP, yang memproduksi mie instan. Kami terus berinovasi untuk meningkatkan kualitas produk dan memberikan nilai kepada kami pelanggan. Visi kami adalah menjadi perusahaan makanan kelas dunia, sementara Misi kami berkomitmen untuk berkendara pertumbuhan bisnis perusahaan dengan menyediakan produk berkualitas tinggi untuk semua orang melalui inovasi yang berkelanjutan dan pengembangan sumber daya manusia. Sejak tahun 2003, kami telah memperluas produksi dan memperjuangkan Indonesia dan Asia Tenggara pasar mie instan. Pemenuhan karyawan untuk level operasional Plant. Melakukan proses seleksi dari screening profile kandidat, undang kandidat dan pemberian psikotes serta interview. Melakukan planning proses seleksi hingga arrange waktu interview dengan user tiap departemen. Memiliki pemahaman mengenai administrasi psikologi dan interview. Memiliki ketellitian dan menyukai pekerjaan yang administratif. Bersedia di tempatkan di Bekasi. (WAJIB) SMA di Ilmu Pengetahuan & Teknologi, Perhotelan/Pariwisata/Manajemen Hotel atau setara. WAJIB Lulusan SMK Teknik (Fabrikasi/Peralatan Metal & Pencelupan/Pengelasan), Teknik (Mechatronik/Elektromekanikal), Teknik (Mekanikal) atau setara. Candidate must possess at least Bachelor's Degree in Engineering (Bioengineering/Biomedical), Engineering (Chemical), Chemistry, Food Technology/Nutrition/Dietetics or equivalent. Melakukan negosiasi dengan vendor untuk mencari dan memenuhi kebutuhan user dengan kualitas dan harga terbaik. Mampu melakukan analisa data untuk mengevaluasi hasil kinerja vendor dan mengukur efektifitas dari yang telah dibeli atau digunakan. Melakukan follow up terhadap Purchase Order (PO) yang terlah diterbitkan, sampai dengan barang atau jasa tersebut datang dan dapat digunakan oleh user. 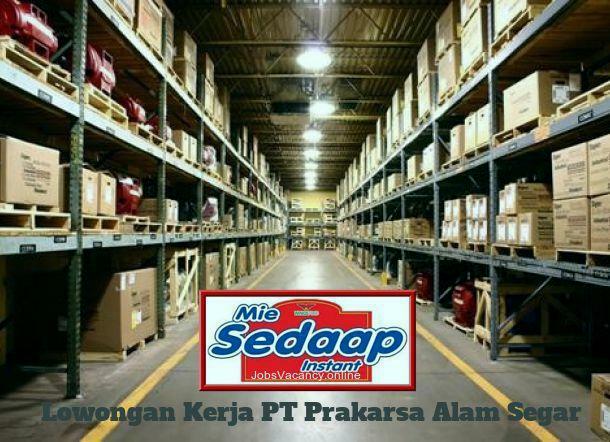 Memiliki pengalaman sebagai Purchasing atau Procurement minimal 1 tahun menangani Spare Parts lebih disukai. Memiliki Pendidikan minimal S1 dari Jurusan Teknik Mesin, Teknik Elektro dan Teknik Sipil dengan IPK min 3,00. Jika Anda Berminat & Tertarik dengan Posisi diatas serta sesuai kualifikasi yang kami sebutkan di PT Prakarsa Alam Segar, Silahkan Lihat di halaman ini, . Memiliki kemampuan leadership, komunikasi yang baik. Mempunyai pengetahuan GMP, ISO 22000 dan Sistem Jaminan Halal. Bersedia ditempatkan di Pondok Ungu, Bekasi.